Middle-aged Ellie Eddington Calvin is questioning her life and her marriage in particular. After the sudden death of her mother Lillian, and with her only child, daughter Lil (named after her grandmother), away at college, Ellie ponders the meaning of her life, wondering where her future is headed. Married to Rusty Calvin for more than two decades, Ellie is tired of his manipulation and his capricious temperament—not to mention her unfortunate lack of love for him. Ellie’s dad, grief stricken by the loss of his beloved wife, implores Ellie to pack up her mother Lillian’s belongings for donation. In so doing, she discovers her mother’s journal in a locked drawer and brings it home to read. Dismayed and upset by the entries, Ellie begins to understand some of the reasons for her mother’s actions with her—especially her coldness and need for control, as well as her appeal to Ellie back in the day not to marry her lover and soulmate, Hutch O’Brien. As Ellie delves deeper into her mother’s past, she learns about Lillian’s first love, which ended with her severe heartbreak. Ellie then realizes why her mother had been against Hutch. But just because Lillian herself had suffered such loss and heartbreak, did that give her the right to deter Ellie from sharing her life with the man she loved? At her mother’s funeral, Ellie runs into Hutch, a journalist. He informs her of the project he is working on for the Atlanta History Center. Lillian had played a part in the Montgomery, Alabama, Freedom Riders during the Civil Rights Movement. She also was a well-known and respected figure In Atlanta’s society. Due to these circumstances, she was nominated and due to be honored as one of Atlanta’s leading women of the 1960s—Hutch’s current assignment. 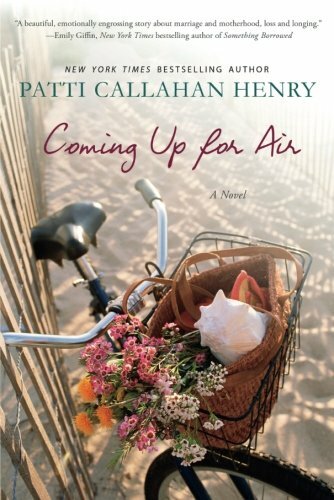 Uncovering the darkest secrets of her mother’s past, running into Hutch, and filled with uncertainty about her marriage, Ellie flees to the home of her mother’s best friend on the Alabama coast to sort out her feelings and determine what to do with the rest of her life. This home—Summer House—is reputed to be a place of mystery, known to change the lives of those who stay there by helping one to uncover the truths one seeks. Ms. Henry poses a lot of pertinent questions many middle-aged women may now be facing. By the baring both mother’s and daughter’s souls, this heart wrenching novel not only touches the innermost core of our emotions, but also addresses our evolution beyond that core to our own, custom-made life—the one we get after we have examined our pasts well enough to claim our present and our future as we see fit.